Milo Ventimiglia has been in show business most of his life, but is best-known these days for his leading role in NBC’s hit drama series “This is Us.” Chronicling the Vietnam War service of his character, Jack Pearson, Milo credits the experiences of his Vietnam veteran father to help bring the role to life. He is also linked to Stallone by a common physical trait. Stallone and Ventimiglia are similar in appearance and both speak with a “crooked mouth,” Milo because he was born with dead nerves in his mouth and Stallone because of a forceps injury at birth. “Jack feels the same. Jack is a very caring, loving, nurturing man, and he has the same sentiment my father shared with me about this horrible war that he was in,” the actor continued. 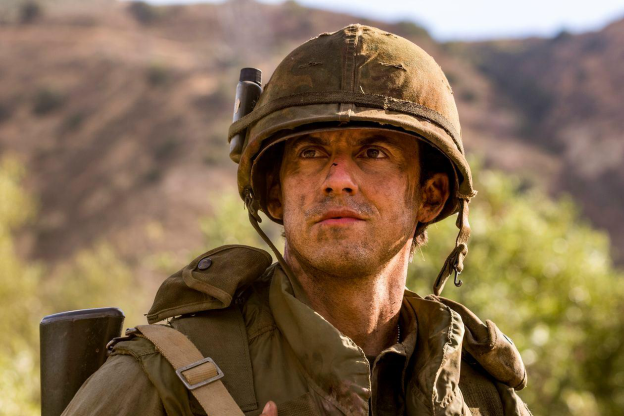 The storyline of Jack Pearson’s Vietnam War role plays out throughout the current third season of the show, particularly as it relates to his protective relationship with his little brother Nicky, who isin the show. As the show repeatedly goes back in time in the show’s signature fashion, the show flashes forward in last week’s episode in an emotional way as Jack gets word from the VA that his son is not dead. "It's not only the family that you're born into, but the family you really make. What we are going to see over the course of the Vietnam stuff (in the show) is just how Jack is looking out for the guys he's in war with," Ventimiglia added. To more accurately portray the experiences of war, the show’s creator Dan Fogelman and his team enlisted Vietnam veteran and author Tim O’Brien as a consultant. O'Brien is known for his war-themed books "The Things They Carried" and "Going After Cacciato." He trained actor soldiers and shot landscape footage from Ho Chi Minh City to bolster the show’s war scenes. “It was probably really exciting for Milo to get mud on his face and run around and activate that muscle a little bit, and he pulls it off so organically. There’s a moment right at the top of the episode where he’s walking out of a helicopter in slow motion, and you’re like, “Oh, yeah, Milo’s built to do this,” said Fogelman, in an interview with Variety. “It’s not like, ‘Oh, a TV dad is suddenly walking in army boots and this is ridiculous.’ It’s like, “Oh, no. He completely owns this and it’s very cool,” he added. Ventimiglia has also toured with the USO, going through Kuwait, Iraq, and Afghanistan during the height of the U.S. military surge in 2008. For his role in “This is Us,” Ventimiglia was nominated for two Primetime Emmy Awards for Outstanding Lead Actor in a Drama Series. He also shared a Screen Actors Guild Award for Outstanding Performance by an Ensemble in a Drama Series.